BD6898 – I LOVE the short jacket (view A). Super classic. BD6900 – I really like the shorter coat (view B). but I love the way view B looks on the model. BD6901 – The gathered peplum jacket seems to be a big trend for spring. Not sure I am in love with this style for me, but definitely a cute jacket for spring. BD6921 – I am liking the flair of the hem on this jacket. The cropped version is cute too! BD6953 – This is probably my favorite jacket pattern in the release! Sadly, is for petite sizes, which means more work for me if I decide to get it. BD6899 – Not a fan of the boxy jacket, but the sheath dress is quite nice. Don’t really need another sheath dress pattern. But I like that this one has a back vent. 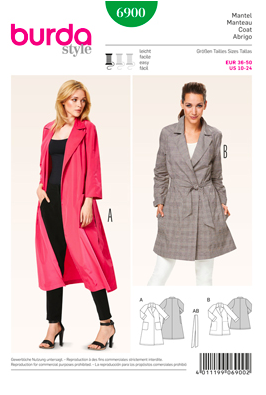 BD6915 – I’m a bit torn on this shirt dress pattern. side panel gathers would translate in real life. BD6916 – I like the way they used the stripes to highlight the design. on view A before, and I don’t know how I feel about the hip flaps on view B.
BD6918 – I could see this being a nice dress for a summer picnic. Not particularly exciting, but practical for a warm day. BD6920 – Pretty! I like all of the options for this dress, including the plain one. BD6919 – Looks like a nice quick-to sew, easy to wear knit dress. 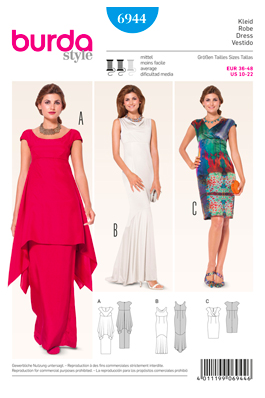 BD6929 – I know the maxi dress is a thing, but I am not excited by the muumuu. BD6930 – This short party dress is nice, but a bit plain. BD6934 – Easy knit tops and dresses. Meh. 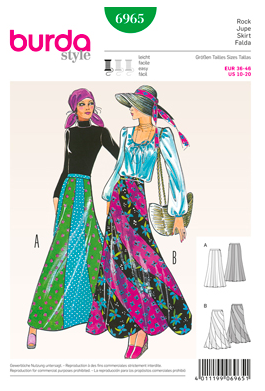 BD6939 – I would love to see the pattern for the skirt of view B. View C seems very 80s to me though. BD6940 – I love the way view B looks on the model – so elegant! Not sure I am in love with the line drawings on any of these though. BD6942 – Nice simple lines, but a bit dull. but I also think it would be a very flattering style to wear. BD6943 – I really like this one shoulder style though. I am a sucker for a one shoulder gown. BD6944 – View A is just too much fabric, but I do rather like views B and C.
I like the diversity that comes in a single pattern. BD6945 – I think the shirt dress is really classy. 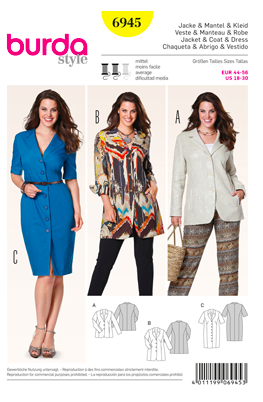 This pattern is in the Burda Plus size range. 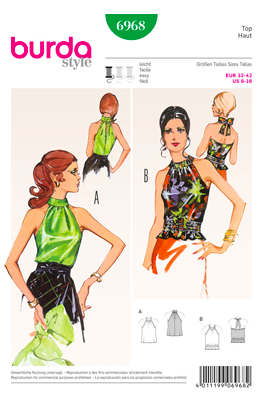 BD6946 – Another good Burda Plus pattern. View A looks like a great wardrobe addition. BD6947 – I like this dress in the shorter length. BD6948 – This looks like a great pattern in the Plus sizes. The dress (view C) is cute, but the cardigan (view A) looks fantastic! BD6908 – I guess the oversized top is a thing right now. Seems like all the pattern companies have at least one of these in their spring lines. This one is going to be a pass for me. BD6909 – This more fitted button down top is another story. I like the collarless options, and the tunic-length would look great with a belt. BD6910 – Love this pattern! I could see myself wearing the top and the dress. Especially love view A – it looks very much like a RTW top I already own and love. BD6911 – I also really like this twist front pattern. Another pattern where I could see myself using all of the views. BD6913 – I can see this being very comfortable to wear during summer. Might be a bit boxy for my taste though. BD6914 – The dresses are kinda blah, but the top could be a great piece for layering under jackets and such. BD6922 – I find myself oddly drawn to view C.
Not so impressed by the other views on this pattern though. 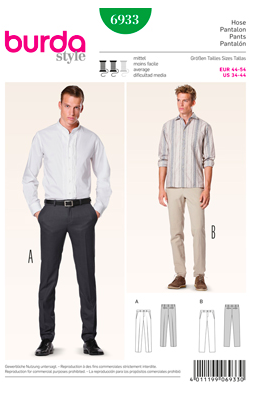 BD6923 – Is this Burda’s response to the Renfrew? BD6924 – I’m thinking BBQs and square dancing. And that I wouldn’t leave the house with that much of my abs showing. 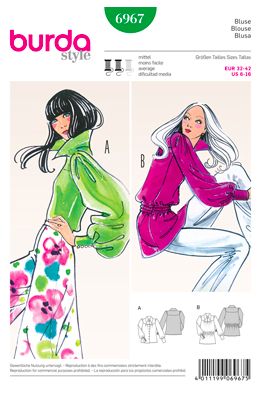 BD6925 – Lots of knit top options. BD6950 – A Burda Plus tunic top. I actually like the way they styled the long version over the dress. BD6897 – I really like these basic shorts. Maybe just because I really need shorts. but I do like the drapiness of those pants. Maybe I should do drapey pants. BD6907 – These pants have a bit too much going on on the hips. Mine are wide enough on their own, thanks. BD6938 – Drawstring pants. For those super extra lazy days. BD6951 – Skinny jeans in the Burda Plus sizes! 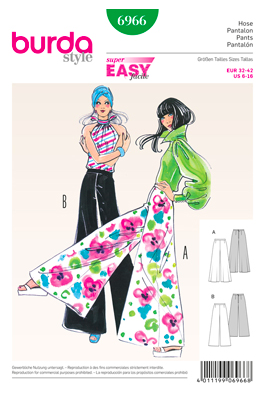 BD6952 – And a more classic trouser as well for the Burda Plus line. 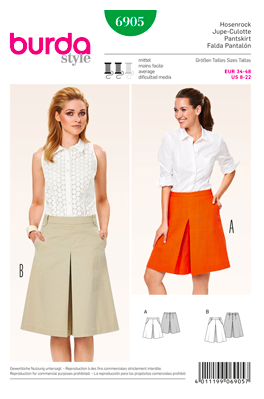 BD6902 – I never know what to think about button front skirts. I like view B, but I always fear a wardrobe malfunction. 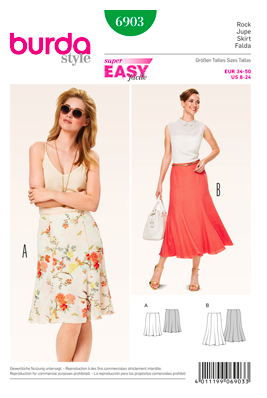 BD6903 – I like this skirt pattern. Floaty and pretty! Cute, but I have a lot of similar patterns already. BD6905 – Skirt with front pleat. Is ok, but nothing I haven’t seen in the magazine. BD6928 – Dang those things are short! but I am not a fan of a center back seam zipper. BD6967 – I am always oddly drawn to these fluffy sleeved tunic tops. Even if I know I look like a crazy poet if I wear them. BD6968 – Ooooh! I really like the top of view A! Would be fantastic for layering under a jacket of wearing on its own. 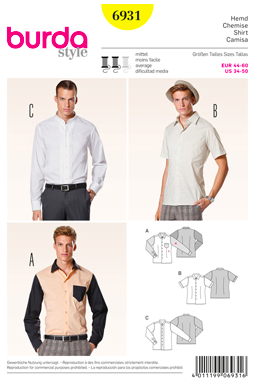 BD6931 – Men’s shirt pattern. There are front darts for fitting, and a few collar options. 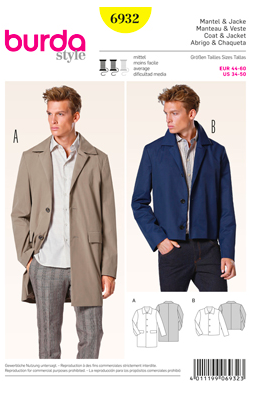 BD6932 – I like the longer version of this men’s coat pattern. The shorter version feels a bit plain for menswear. BD6933 – Skinny legged men’s trousers. Don’t know that this is a style for everyone, but nice to have the pattern option? BD6957 – Looks like a decent maternity top/dress pattern. BD6958 – A button-down maternity shirt! for someone who needs a more formal maternity wardrobe. BD6963 – Swimsuit pattern. Pretty basic. slips out of knit material, since so many other patterns are designed for wovens. 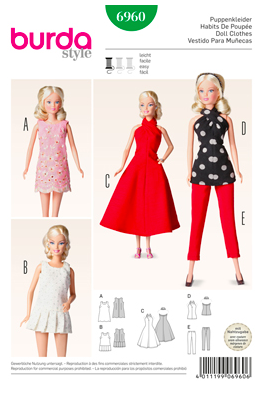 BD6960 – A doll clothes pattern. The top/pants combo is pretty cute. BD6969 – Hmmm, I have this shirt. BD6970 – This dress was totally from April 2013. BD6973 – Remember this dress/skirt from last February? 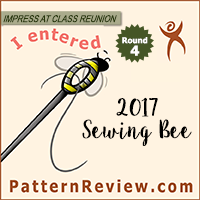 BD6974 – This was another popular pattern from last February. I made this dress, and there were a lot of tops popping up on pattern review. Whew! That’s a lot of patterns! There were quite a few that I am going to pass on, but I have at least a couple of jackets and dresses that are staying on my radar. I have another bunch of pattern I am debating over. I like them, but I probably don’t need them. Hmmmm. So, what do you all think? See anything that knocks your socks off? Or did we get all the good patterns in last year’s magazines? What do you think about the picks for the vintage reprints? And who wants to host the Burda Jeggings Sew Along? Feel free to discuss the hits and misses in the comments! Some of these are better than Vogue's current offerings. Well done, Burda people! I went to the big one (a bit out of the way, but they put out new stuff before the close ones in my area do) and they had them! But they only stock ONE of each pattern. Anybody else is gonna be sad when they show up to look for them. 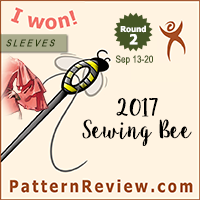 I had to bring my mom to get passed the 10 pattern limit… But, yeah, there were a lot of good patterns this time around.